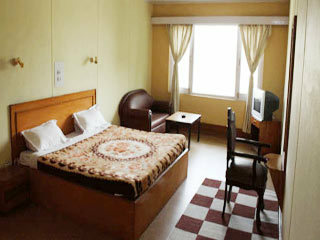 Hotel Pamposh is mere a 12 kms ride from the Srinagar Airport. 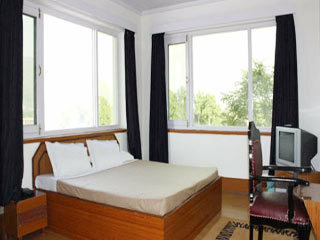 Dal Lake, Mughal Gardens and the Shankar Aacharia Temple is at a walkable distance. 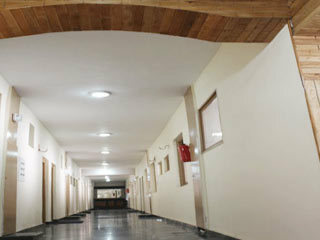 Being located in the heart of the City, tourists can get all the necessary information without much efforts. 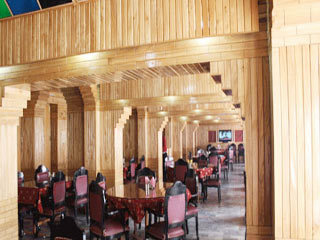 Within the radius of 2 kms, there are famous restaurants, caf�s, bakeries, bar-b-ques, and a multitude of shops specialising in Kashmiri Handicrafts. 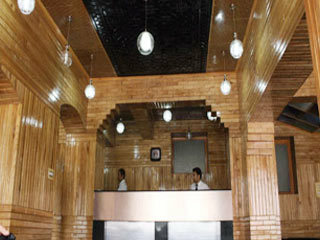 Tourist Reception Centre, Recognised Travel Agents, and Govt. Recognised Tourist Taxi Stands are just a minutes walk away. Hotel Pamposh is surrounded by River Jehlum on the back side and has a football field size garden in front with the parking space for upto 300 vehicles. Spa/Massage/Wellness, Health Club, Recreation, Swimming Pool, Exhibit Space, Elevator/Lift, Express Check-In/Check-Out, Travel Counter, Baggage Storage on Request, Arcade/Game Room. Bathrobes, Moisturiser, DVD Player, Internet Access, H/C Water, Electronic/Magnetic Keys, Toothbrush/Razor on Request, Child Care, Iron/Ironing Board, Climate Control. 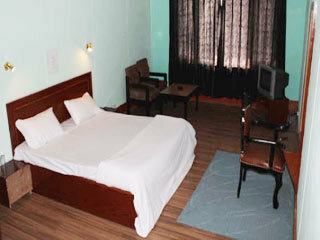 User reviews for "Pamposh Hotel Srinagar"